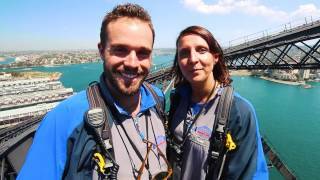 Climb the Sydney Harbour Bridge for exhilaration and view one of the best panoramas of the beautiful city and beyond, including the World Heritage-listed Blue Mountains and the Pacific Ocean. 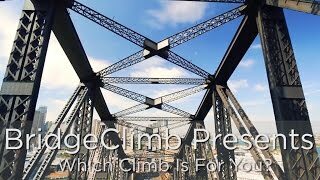 You'll scale the bridge with BridgeClimb Sydney in The Rocks. There are a range of climbs, including the 3.5 hour tour and a shorter 90 minute tour. Climbs are available at dawn, during the day, at twilight or in the evening. For Mandarin speakers, a tour departs at 3pm daily with a Mandarin-speaking guide. 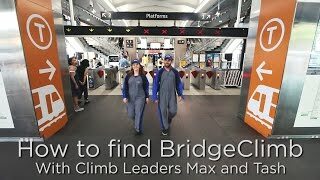 An ideal climb for those with limited time is the 90-minute BridgeClimb Sampler. You’ll follow an express route half way to the summit. 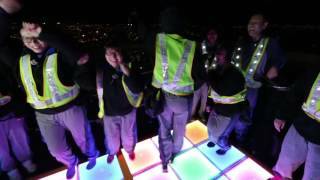 Throughout the year, BridgeClimb also has climbs to celebrate festivals including Chinese New Year, Mardi Gras and Vivid Sydney. Make sure you reserve tickets in advance for a climb. To get to BridgeClimb, go to Cumberland Street in The Rocks. BridgeClimb is located on the western side of Cumberland Street before the road snakes underneath the Harbour Bridge.